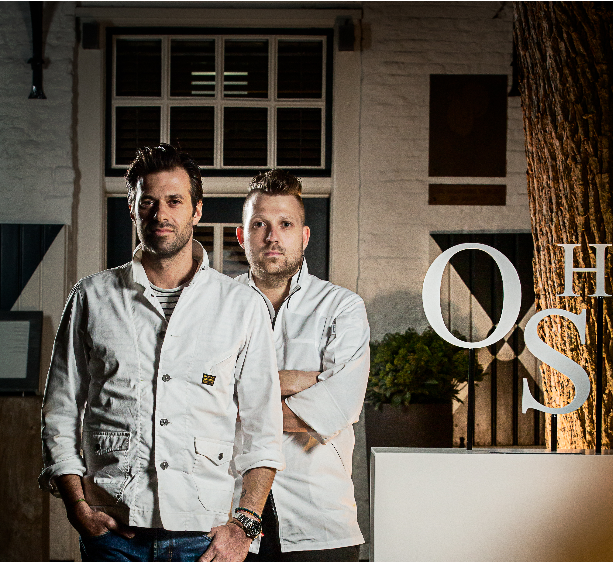 The list of chefs that will be present at “taste of Antwerp” next month just keeps getting better and better! They already had an impressive list (including some friends of mine) with cheese maturers Michel & Frederick Van Tricht, Thomas Coenen with his team of 12 Place du marché, the lovely ladies of Mama kookt and a bunch of Michelin star awarded chefs, restaurant Ardent, ‘t leeuwekopke, etc…. but the cherry on the cake for me is without any doubt that Sergio Herman and Nick Bril (Sergio’s sous-chef) will be presenting some of “La Chapelle’s” dishes. For you who don’t know “La Chapelle” yet, this is the new restaurant project of Sergio Herman in Antwerp on which they have already been working for 2 years and will finally be opening January 2014 (I’m counting the days for it to open!!). The executive chef in this restaurant will be Nick Bril who has already been for a while at Sergio’s side. So if you already want a sneak peak of what “La Chapelle” will be offering on their menu! (Although I think you’ll have to wait in line for a bit).